Bangkok International ICT Expo 2005 opens today and Her Royal Highness Princess Maha Chakri Sirindhorn will preside over the opening ceremony in the afternoon. 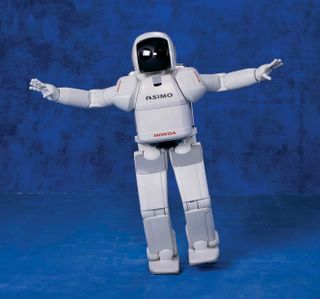 She will be joined at the ceremony by Asimo, Honda's humanoid robot, which will hand the Princess a jasmine garland. Asimo will also be a star performer at a dancing show and will invite children on stage to dance. The performance includes Asimo's "I Walk" dance, which has been compared to Michael Jackson's Moon Walk. Asimo can also perform the Hula Hula dance. In addition, the Japanese robot will host a "DJ Asimo" session where it will select a music CD and give it to a DJ. 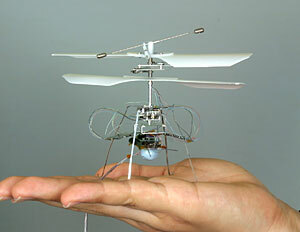 Apart from Asimo, the world's smallest robot _ as recorded by the Guiness Book of World Records _ will be in attendance. Called Monsieur, it is part of the Epson Micro Robot System series and went on sale in 1993 as part of watch-related technology. Flying Robot Officers? Don't Ask, Don't Tell.